* Can use the remote control. 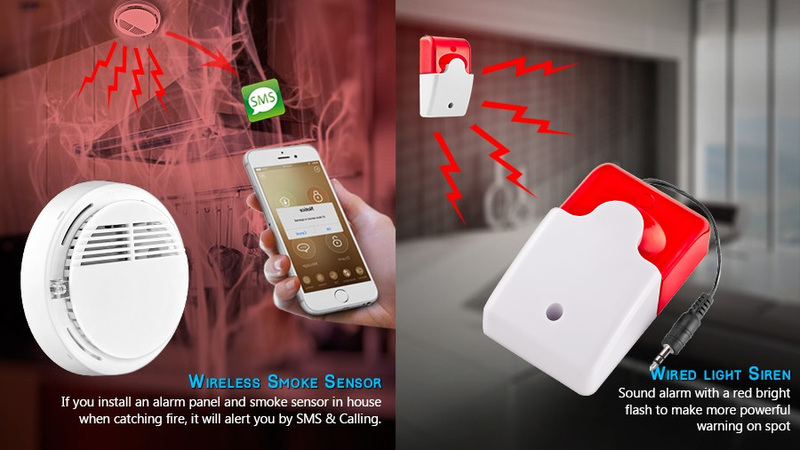 * Can be used match with door magnetic detector or infrared detector or smoke detector or Gas detector. * Telephone (mobile phone) remote control programming. * PSTN remote control programming. 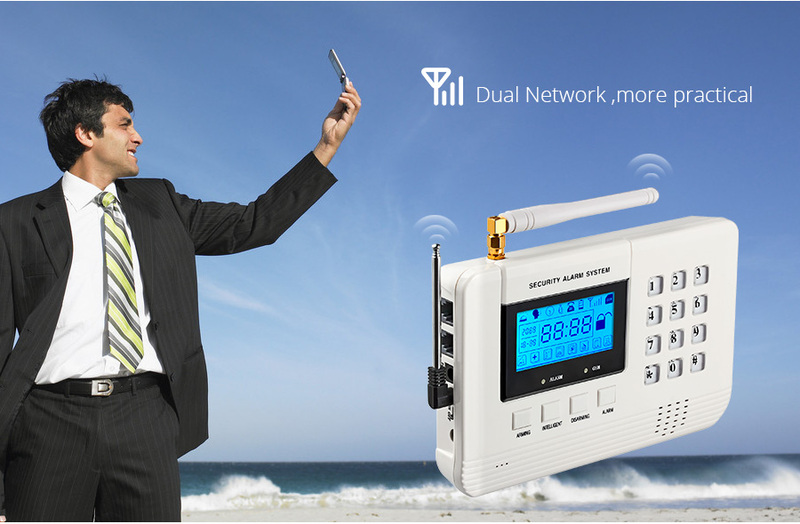 * GSM and PSTN ,Two in one design.Support 2G GSM card. 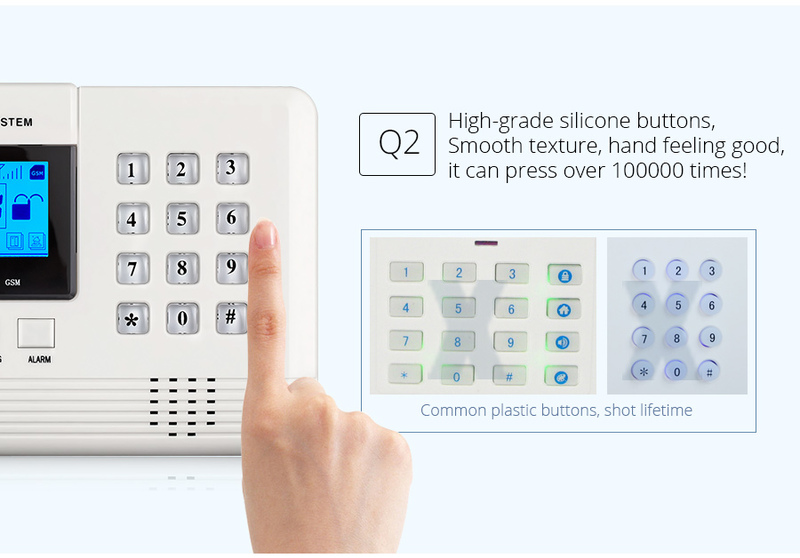 * SMS remote control preset & arm/disarm the main panel. * Built-in intelligent English message. 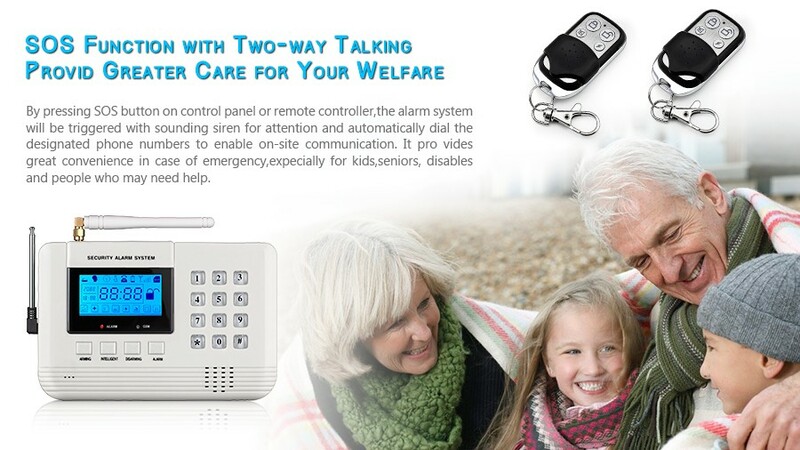 * Alarm locking memory and information clear for easy checking. * One-key-control function: Away Arm, Home Arm, Remote Arm. 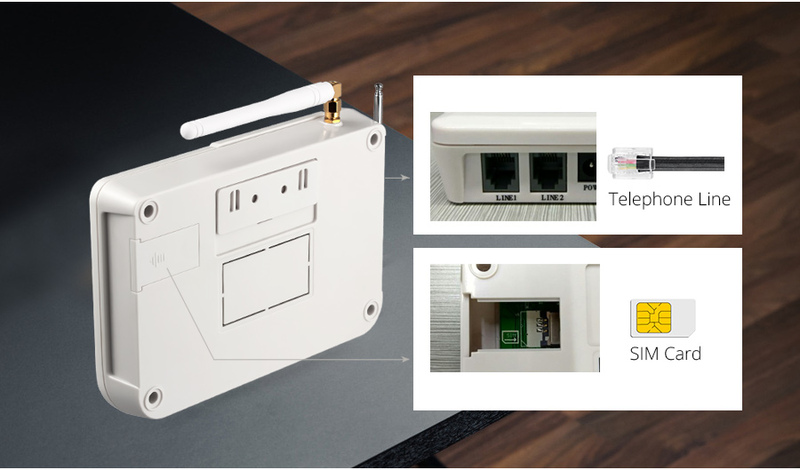 * Wireless intelligent learning encoding and comply additional accessories. 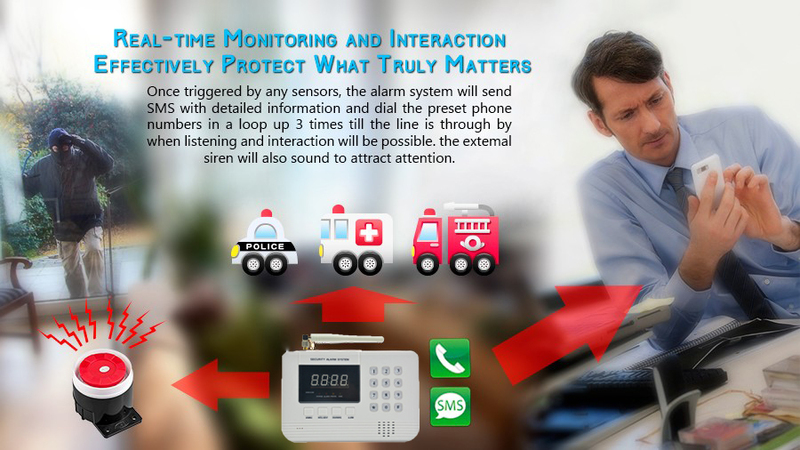 * Arm, disarm, monitor and intercom by remote calling the alarm unit. * Real-time, delay, 24 hours, bypass defense zones programming function. * Built in Lithium rechargeable battery is available to provide power supply nearly 5hours automatically after power off. 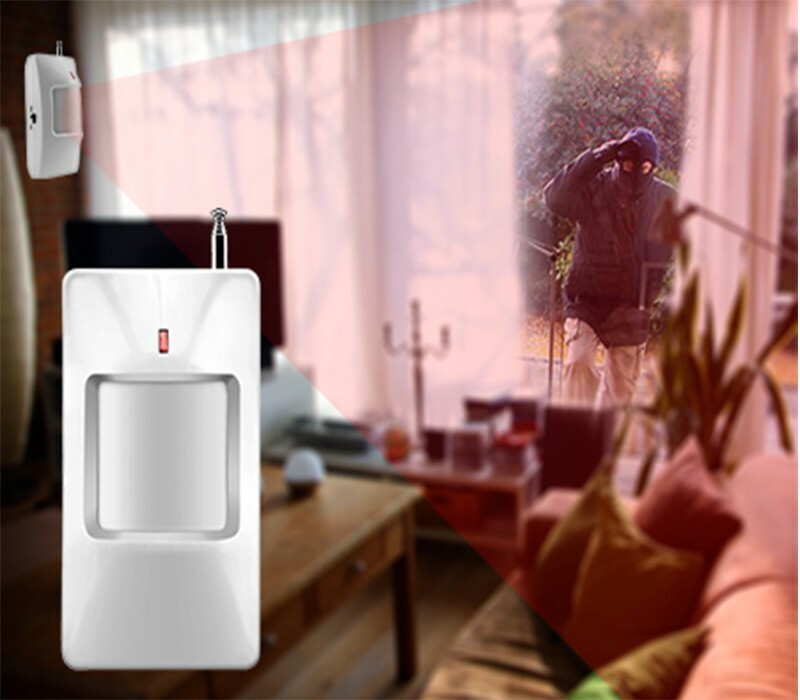 * AC and DC dual use are available for 24-hours-a-day normal guard. 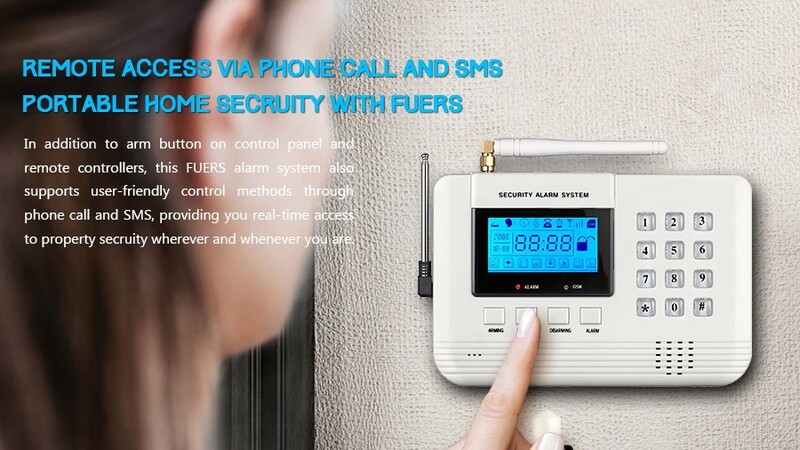 * Main unit anti-tamper and low-voltage detecting function. 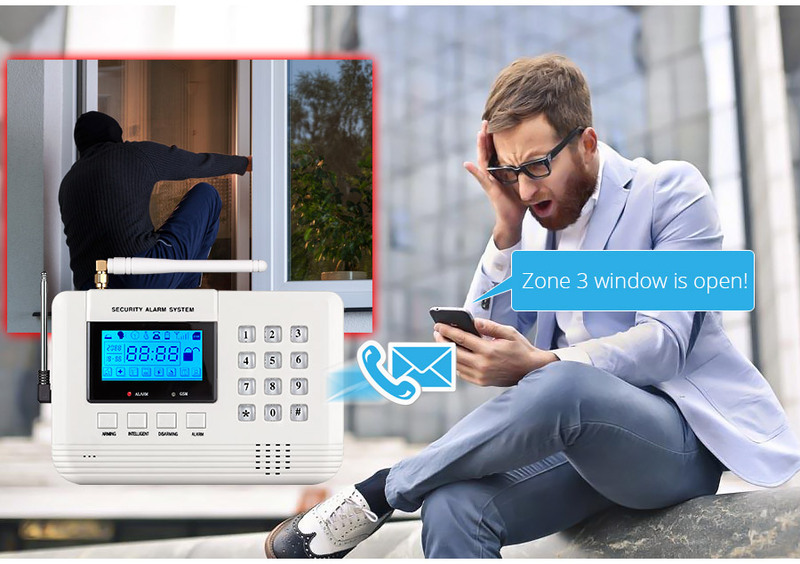 * Triple band frequency (GSM 900/1800/1900Mhz) makes the alarm system work well in the GSM network of most countries. 1. 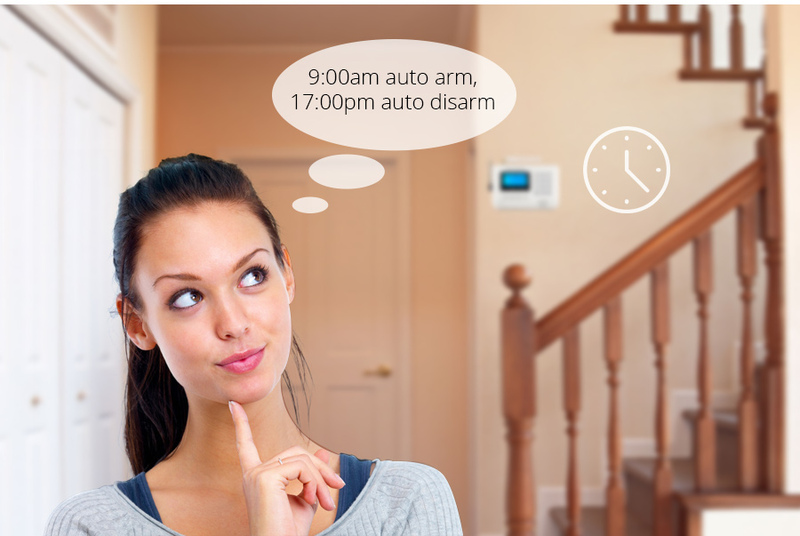 You can Arm and Disarm your alarm system by three ways. (a) Phone Call (b) Phone SMS (c) Wireless remote controller. 2. You can add 6 set of alarm phone number. 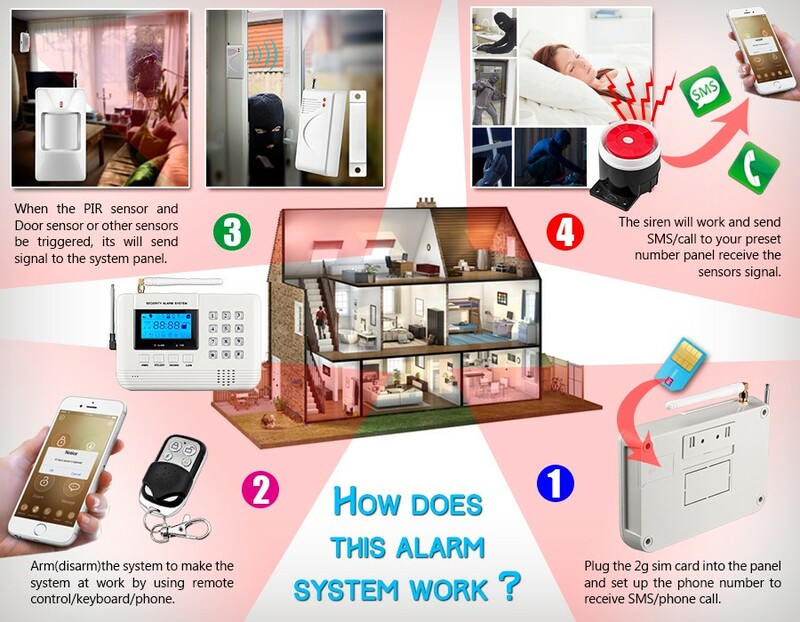 When system alarm , you will get phone call and Alarm SMS immediatly from the alarm host. 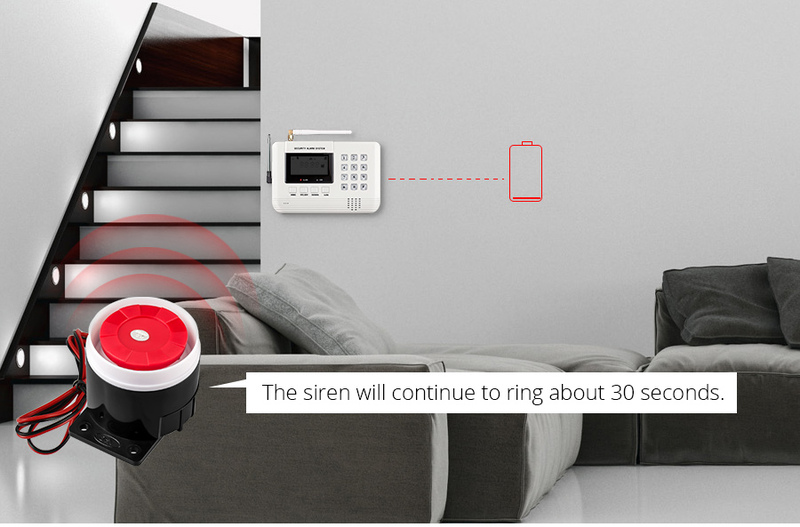 3.When the external power supply is off, the alarm system siren will cotinue to ring about 30 seconds. 4. You can set a password for the keyboard (Enable cmd: "*11*"), then everyone need input the password before operate it. 5. You can Set Time and convenient for your control you time (Enable cmd:*07AABB*). 6. The Voice of the wired Siren can be adjust, if you feel the voice is too loud, you can adjust lower. 7. 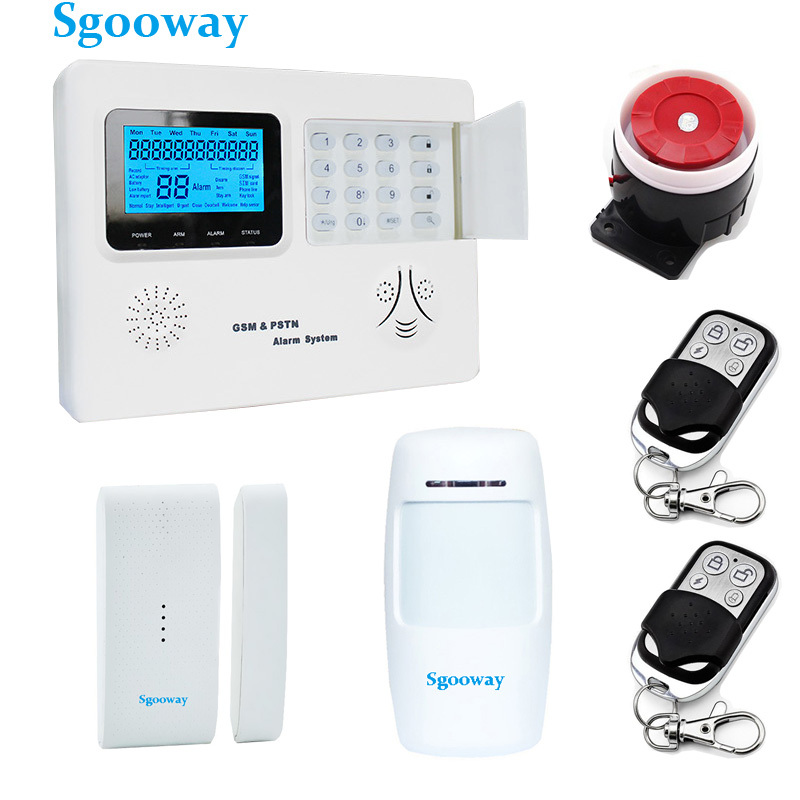 This alarm system can add 10 remote controller and 99 wireless sensor (such as door window sensor, infrared sensor,window infrared motion sensor, PET immune sensor, gas sensor, smoke sensor, water sensor .). 8. You can set up a alarm delay, 00-99 seconds. 9. 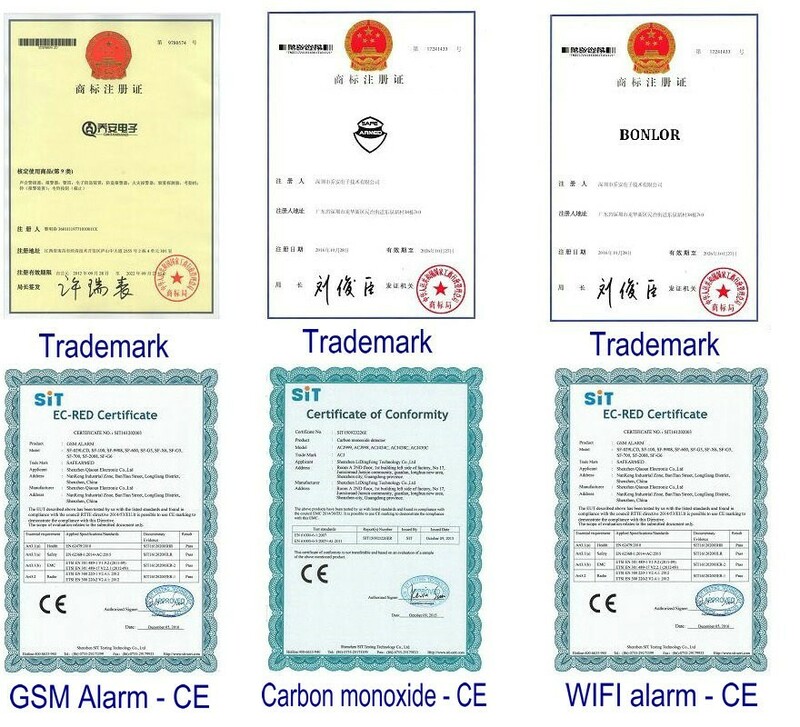 You can program the wireless zone type, for example, if you are at home, you do not want the door sensor and the infrared motion sensor alarm, but you need the smoke sensor and gas sensor alarm, so you can program the smoke sensor and the gas sensor to 24 hours alarm type. 10. 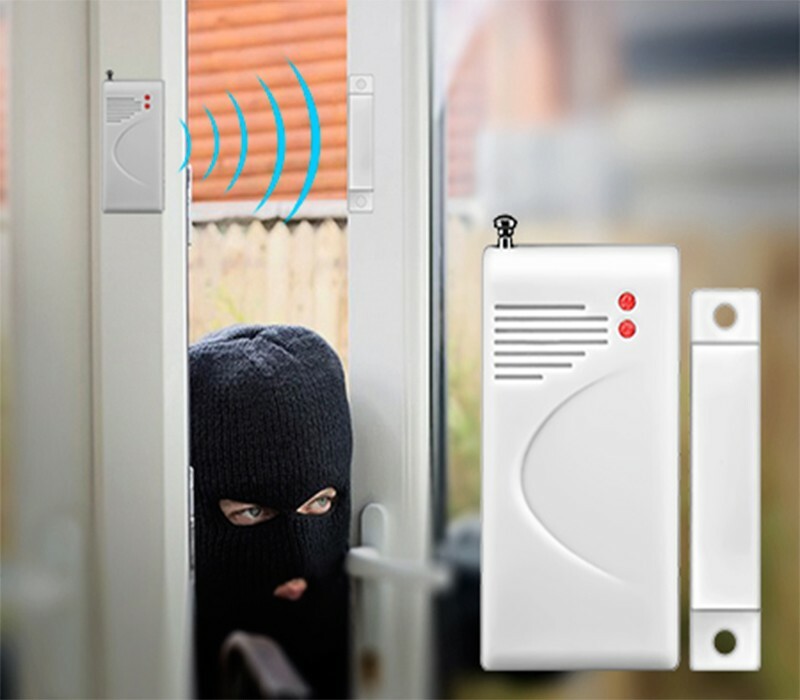 You can set a wireless sensor to a doorbell, such as you set a door sensor to doorbell type, when somebody come in, alarm host will ring like a doorbell. 11. 2 Wired sensor can be added . 2. Power Plug Style or Size: please note that there are USA, EU, UK and AU style power adapter, they are totally different, please check your own device power adapter style requirement and carefully to get the correct style, We will send the default style adapter if no more details requests in order. 3. 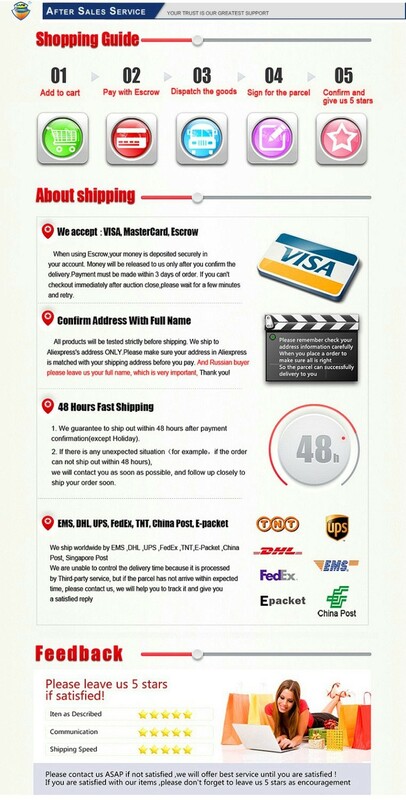 Shipping: All express service to Brazil and Chile requires the CPF for custom, please provide the CPF in the order.